The Handi Reacher is a lightweight, robust reacher that will assist you to dress, draw curtains and pick up various objects from the floor or shelves. The Handi Reacher is a lightweight and robust reacher that will assist those with restricted reach and limited mobility. 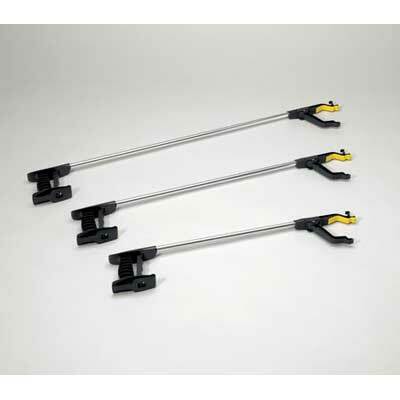 The grabber is operated using four fingers thus making it easy to grip, and is ideal for picking up various objects from the floor or shelves. The head features a magnet for picking up small metal objects and there is also a hook to aid dressing. The jaw can be rotated 360° to avoid having to rotate the wrist which in some users, may be painful. Available in 3 different lengths – 24”, 30” & 35”.